In western herbal medicine – as in other herbal traditions -, thousands of years of empirical wisdom are integrated with contemporary scientific insight so that the use of plant remedies remains valuable and relevant in modern healthcare. Within the European tradition, herbal medicine has always been accessible to ordinary people. Historically, harvesting medicinal plants and preparing kitchen remedies, was as natural a part of day to day business as farming and cooking. In the same way that people are rediscovering the skills of growing their own food for health and environmental reasons, perhaps there is a parallel urgency to nourish and maintain our tradition of harvesting and growing our own medicine. Pharmaceutical products use compounds copied, synthesised or extracted from plants, Herbal medicine tends to look to the whole plant to deliver the therapeutic effect. Value is placed on complexity, and dynamic interaction between all the different elements –known and unknown- of the plant.The whole may be greater than the sum of the parts. 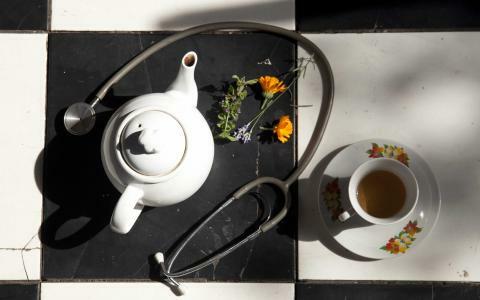 While herbal medicine offers the empowering opportunity for individuals to take responsibility for their own healthcare, there will always be times when it is more appropriate to seek expert help. Modern professional herbalists are trained in the same diagnostic skills as conventional doctors, but take a more holistic approach that acknowledges the uniqueness of the individual. They will make recommendations pertaining to diet and lifestyle, as well as prescribing herbs. Trained herbalists will be aware of any possible herb/drug interactions. If you are currently taking conventional medication, you will only be prescribed herbal remedies that are compatible with these. Herbal medicine practitioners can treat almost any condition that patients might take to their doctor. Sometimes it will be an alternative and sometimes it will be an adjunct to conventional medicine. Acute infections, both viral and bacterial – colds, flu, sinusitis, noro virus, cystitis, thrush etc; Allergic responses such as hay fever, asthma, rhinitis etc Auto-immune conditions, from rheumatoid arthritis to thyroid conditions; conditions that effect the cardio vascular system – angina, blood pressure, vascular dementia, varicose veins, piles, Reynards syndrome etc;digestive conditions – IBS, colitis, constipation, acid reflux; ulcers; fertility;headaches and migraines; hormonal problems - polycystic ovaries, PMS, uncomfortable menopausal symptoms etc; psycho emotional conditions – anxiety, depression, over thinking, disassociation; wear and tear to the muscular skeletal system – arthritis, sprains and strains.